Meik Wiking is the CEO of the Happiness Research Institute in Copenhagen and the bestselling author of The Little Book of Hygge. 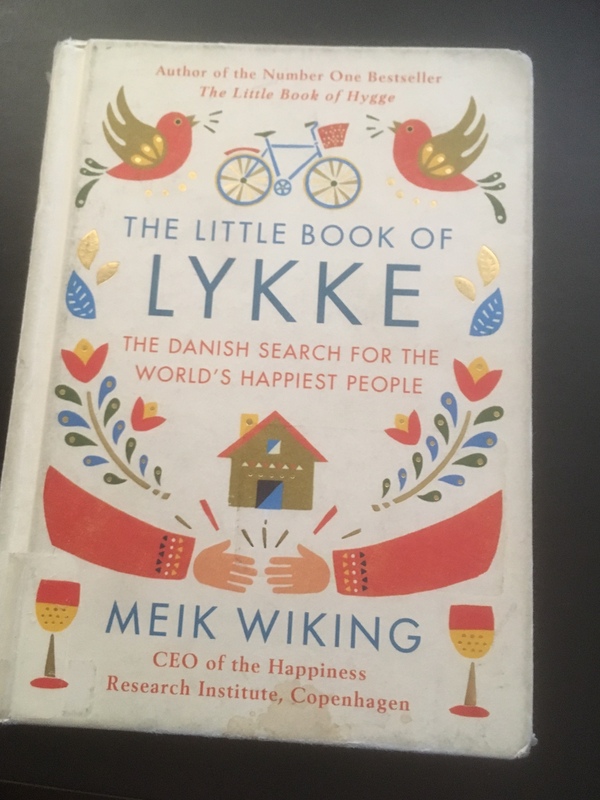 I read this book and found it a bit shallow, so I was skeptical of this second book, The Little Book of Lykke: The Danish Search for the World’s Happiest People. This volume, however, summarizes much of the research regarding happiness and offers more depth and insight into the habits one should cultivate and the things one should do to promote personal happiness. Like Wiking’s book about hygge, this book about lykke is a very pleasing volume. With well-written text broken up by illustrations and photos, it can make the reader happy just to sit with this book and leaf through it. The research points are illustrated with graphs and made real through stories and anecdotes gathered by the author or the Happiness Research Institute. I also took some time to review some of the literature more thoroughly. I was so impressed that I now recommend this book to families in my practice working to be happier as a family and individually. The book concentrates on six factors that can affect happiness. These are togetherness, money, health, freedom, trust and kindness. Each of these factors is covered in its own chapter, which can be read in an hour. Text boxes in each chapter outline happiness tips. At then end of each chapter, the author summarizes some projects or research from around the world related to the factor described in the preceding text. For people like me, for whom there is nothing more satisfying than a well-written, esthetically pleasing book, finding The Little Book of Lykke was like finding a small object that could help me to feel a bit happier. What a wonderful review – and it looks like a great read! !